JFK Challenge makes history come alive with immersive lessons about John F. Kennedy and some of his accomplishments. 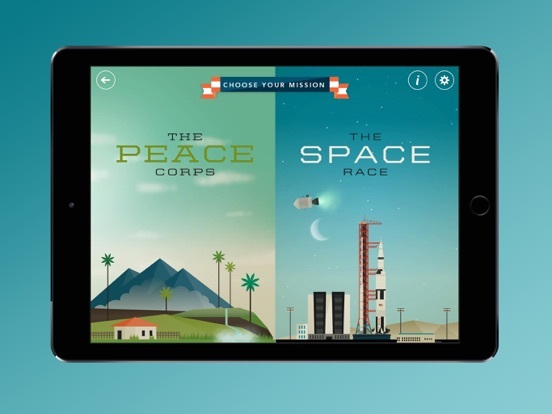 Users can experience a taste of two of his signature programs, the Peace Corps and the Space Program, as they learn about these pieces of our country’s history. 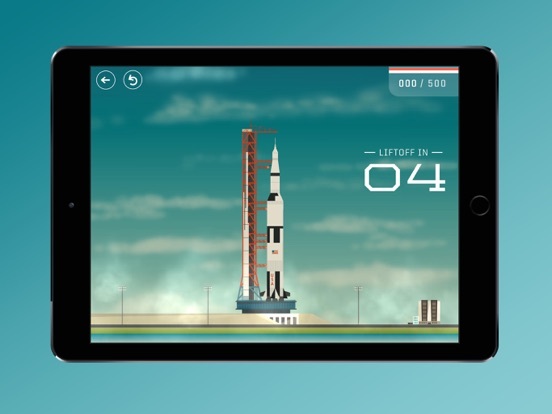 JFK Challenge is a wonderfully creative app that truly takes full advantage of the iPad’s power and unique capabilities. Activities incorporate the device’s motion sensitivity and touch screen, among other features. The app is easy to navigate, but needs a button to return to the home screen from various points within the games. Right now, the back button takes users to the previous decision point, but it takes a lot of button pushes to get clear back to the beginning when you wish. Also, the time limit is quite quick on some of the games, such as the building activity in the Peace Corps section. Young children may have difficulty being successful, so this should perhaps be adjustable or capable of being turned off all together. 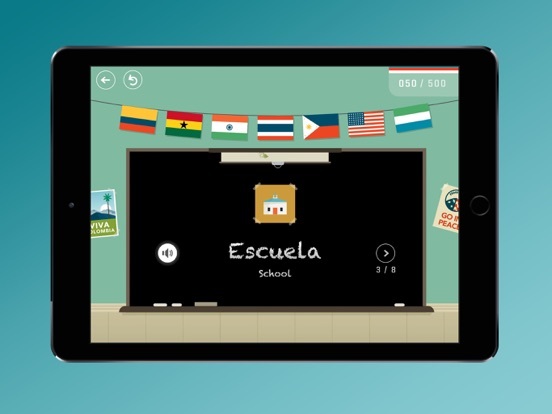 Multi-sensory and interactive learning is generally the best possible combination, and this app’s developers have done an outstanding job of incorporating many types of meaningful activities into the context of learning about two of JFK’s most important programs, the Peace Corps and the Space Program. The activities provide a nice mixture of academic, logical, and coordination challenges. For example, the Peace Corps section has students start by learning some basic words in Spanish, then has them solve a logic puzzle to lay out a pathway for a canal and then use speed and coordination to mix cement and build a school. It was very refreshing to see such close connection between the activities set up for users and the context and meaning of the program. 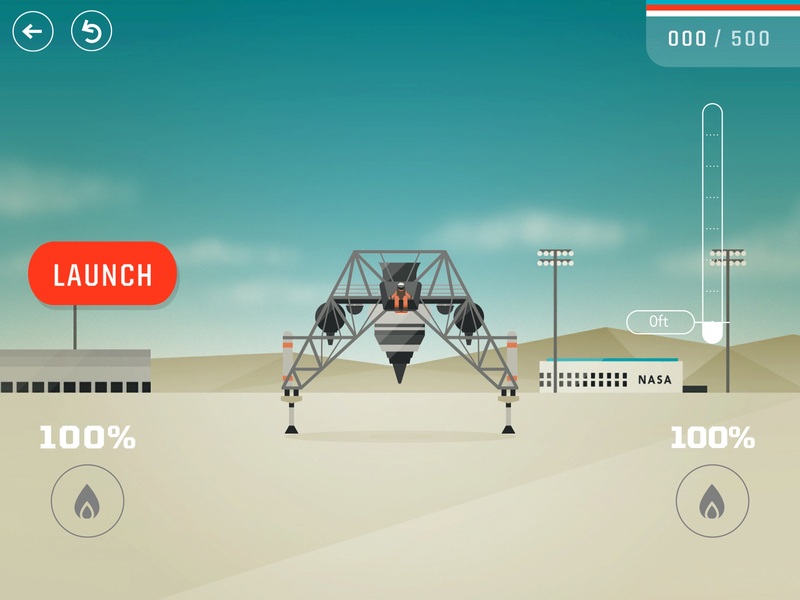 The Space Program’s training includes learning to “fly” the space craft and “land” it by tilting the device to direct it, and learning to “put together a space suit” using logic and reasoning. After the training in each area, learners complete “missions” related to the actual history of each program, utilizing the skills practiced in the training exercises. 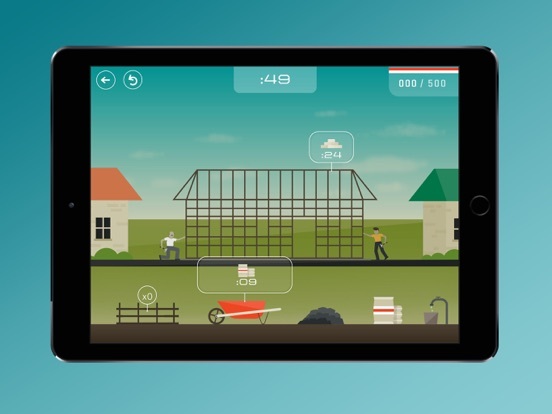 Throughout the entirety of the app, developers have done an outstanding job of incorporating video and audio clips as well as narrators reading from primary sources, actual footage and articles created during Kennedy’s presidency. This sort of immersion, combined with the engaging activities, will make history come alive for young users. There are ten different activities included in this app, which lend a great deal of variety to the challenges. From simple matching tasks to logic puzzles and coordination/speed based exercises, there’s something here for everyone. It’s nice to have the ‘training exercises’ for each area that teach users how to complete activities. Many are timed, though, and somewhat short times at that. It’s quite challenging to finish before the time runs out! It would be a good idea to incorporate more control for adult mentors in that regard. Some children, particularly those with special needs or with coordination problems, are likely to become frustrated because you cannot skip activities or move past them without successfully completing them. Adding the capability to modify or turn off the timer in the settings would go a long way toward making this app more accessible for children who could benefit but cannot master a particular game. 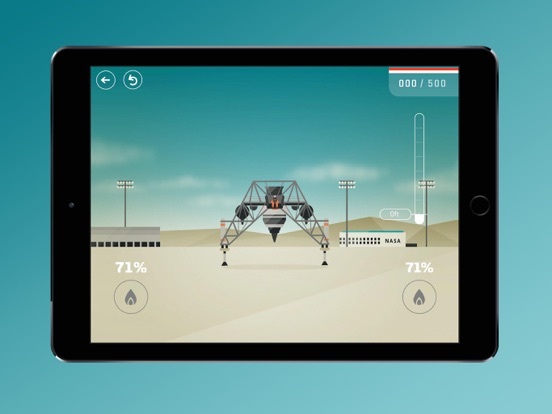 JFK Challenge is free in the App Store. It is a product designed to encourage youngsters to learn about John F. Kennedy and to remind the public about the John F. Kennedy Presidential Library and Museum. The app will truly help youngsters get interested in this part of our country’s history. The use of actual video and audio clips is a real plus, too, because they make the information come to life. JFK Challenge is child friendly. The app does not include any outside advertising or in-app purchases. There is a pop-up ratings invitation that appears occasionally, and there is no protected parents’ area, but also no live links or other content that should be protected. Children can, however, access the account creation and deletion system as well as the app’s settings to turn sound effects and background music on or off.